Handy and I went to see the latest Pirates movie on Sunday, in 3D, no less. That was actually a surprise. The price was astronomical. The kid handed us two packages of glasses and I looked at him like he was crazy. "It's in 3D?"... "Um... yep." 3D is pretty neat, until you get so used to it you forget that it's supposed to be special. Not sure it was worth the extra $, but what can you do? Out of the new additions to this film (mermaids, Angelica, Blackbeard, and Philip), my favorite would have to be the mermaids. I wasn't sure what to expect with them, but I thought they were incorporated well and I especially love the new character Syrena (pictured above with Philip). I honestly didn't miss Will and Elizabeth at all, though I did keep expecting that pirate with the fake eye and his buddy to turn up at some point. They didn't. The score is similar to the last three Pirates movies, but there is quite a bit of latin flavor to the new one, which I am loving. Since I like to write to movie soundtracks to keep myself from singing along or accidentally typing out the words, I added this soundtrack to my collection this morning. And BONUS: there are even seven remixes that seriously make me want to dance (or get into a sword fight...). Of course, the ending was open enough for another, and apparently they are working on a script for a fifth. But Mr. Depp wants to keep these movies special, and not just keep pumping them out just to do it. I know I'd keep going to see them, so hopefully the script to the new one will be so rockin' he won't be able to say no. I just hope that if he says no, they won't try to make them without him. That has disaster written all over it. Have you seen it yet? Did you enjoy it as much as I did? Haven't seen it yet but fully intend to at some point, probably on DVD rather than the cinema because I am poor and sad, ha! I'll totally see it for Captain Jack but I was surprised when you said they didn't have Pintel and Ragetti (aka the guy with the eye and his buddy) since they've been in all three. I hope they kept some of the old faces beyond Jack and Barbossa. It was good! We enjoyed it. I've been debating whether to see this one, so I'm glad to hear it's still fresh and fun! 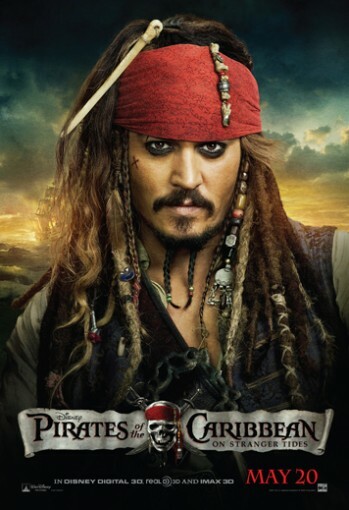 And they definitely can't make a Pirates movie without Johnny Depp! I'm sorry to say I haven't seen any of these yet ... but have heard so much about them, they're on my to-see list. 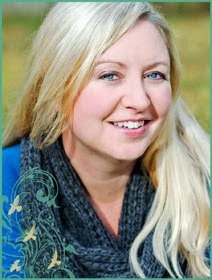 Clicked over from Jennifer Shirk's blog for the blogfest, love the letter idea! Thanks for Playing! And Winner! Letters to the Future Blogfest! My First Blogfest!! Letters to the Future!